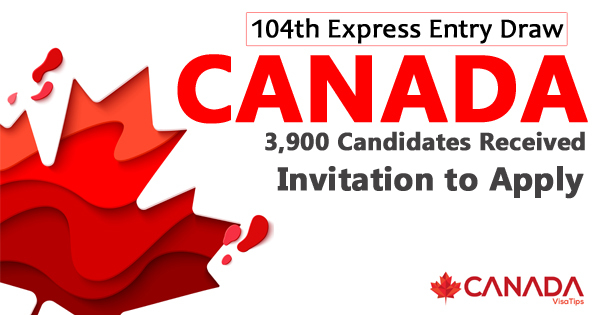 3,900 Express Entry applicants will get requests to apply for Canadian PR in the Express Entry draw number 104 conducted on Nov 15th, 2018. The least cut-off Comprehensive Ranking System score for the current draw is 449. In the Express Draw Conducted on Nov 15th draw, I.R.C.C announced a cumulative number of 3,900 requests. This significant I.T.A's number is constant with contemporary draws, marking an aim of improved numbers of I.T.A's announced per draw. The cut-off C.R.S has improved from earlier 442 points to 449 points. This improvement is likely because I.R.C.C paused longer than normal within the two current draws. While assuming the scores of C.R.S for future draws can be challenging, Express Entry applicants should not be too scared by the raised score of C.R.S. If I.R.C.C manages the significant number of I.T.A's and enhances the regularity of draws, then the score of C.R.S may fall in the future. The prior you present your profile for the pool Express Entry, the greater your possibilities of getting an ITA! Approach Canada Tips and get the assessment through our free online evaluation form to explore all your opportunities and to make 2018 as the year for Canada immigration!